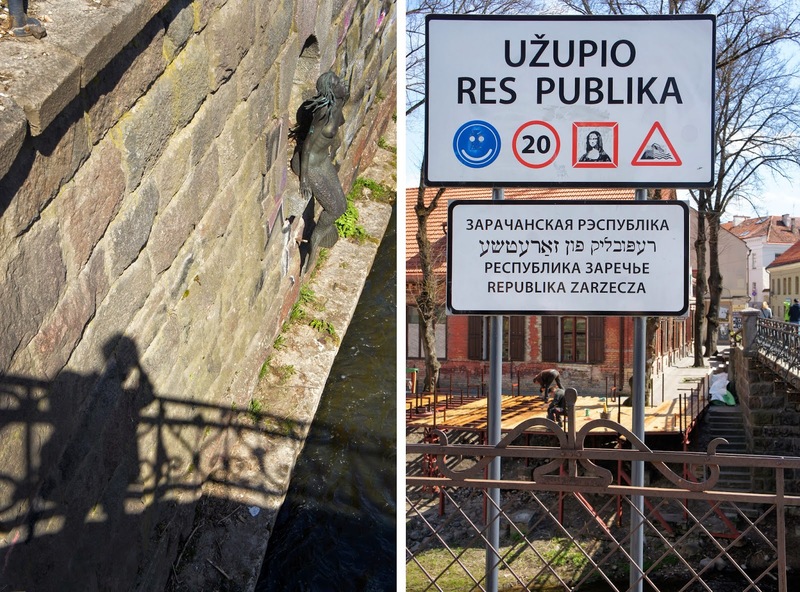 Without giving away too many personal details about our visit to Lithuania last Easter, where our friend's generous and lovely family hosted us, I'd love to tell you a bit more about it. 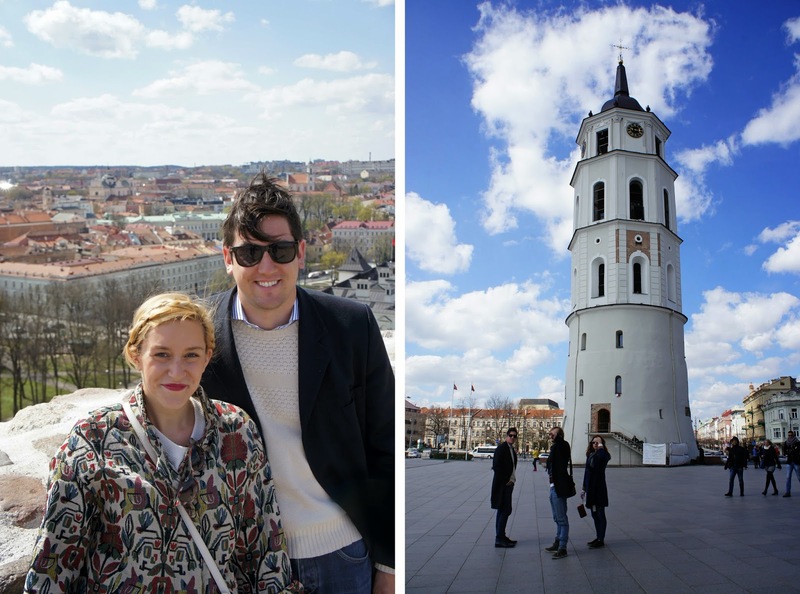 We first went to Lithuania's capital city, Vilnius, where our friend's family lives and works. His father, who we had the privilege of getting to know, is an incredible artist who I like to think of as Mr. Lithuania. Not only has he designed the coat of arms of the city of Vilnius and the country of Lithuania, he is heavily involved in keeping the history of the country alive through his wonderful etchings and his design work on some of Vilnius' most important historical buildings. And he let us stay in his studio, which was just such a thrill. I won't share photos of that very intimate space, but suffice to say, it is the artist's studio of your dreams. Perched in the attic of a historical building in Vilnius' Old Town, it is home to the most wonderful printing press and collection of art. 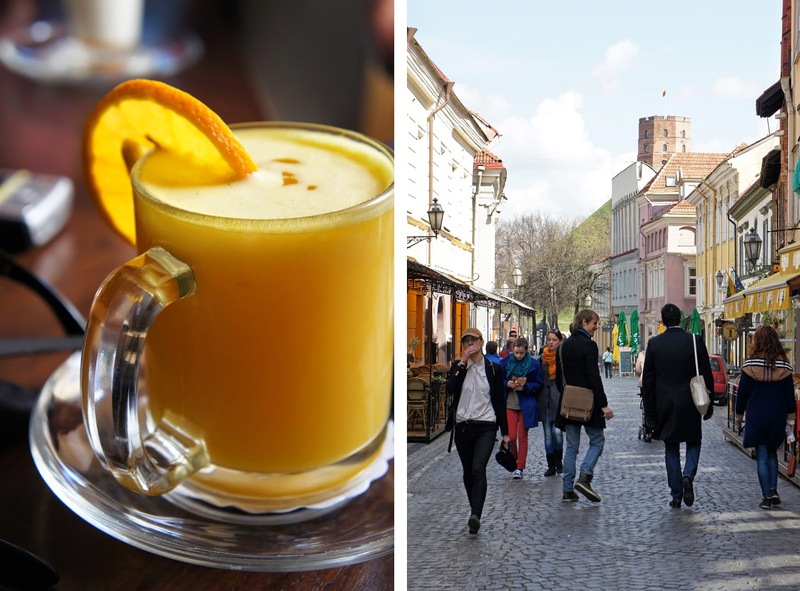 Our friends took us on a fun two-day tour of Vilnius' historical sites, parks, and pubs. Vilnius is a ridiculously beautiful city, in a wonderfully understated way. It has fewer tourists than I imagined, it's very affordable, makes great beer and pickles, and all the young people speak English. In other words, give it a few years and its bound to be the next city break destination in Europe. Pictured above is the most wonderful hot orange and ginger juice. I'll be scrambling for a recipe the next time I get a head cold, it was delicious! Vilnius is also one of the greenest cities in Europe. That is, it's essentially one giant park. We were all too happy to indulge in the grass and spring blooms, which are a rarity in Malta. And how cute is this open-art art class? Wandering about we ended up in Uzupis, Vilnius' very own artist's republic. Its a self declared independent republic (with it's own wacky constitution, pictured below), and home to some very cool art installations and restaurants. Later that day we wandered in and out of carving workshops, markets selling perfect pickles by the bucket, and little souvenir shops. Between shops we snacked on traditional garlicky fried rye bread and sweet bread beer. At night we toured many of Vilnius' charming bars and pubs (La Boheme and Who Hit John were firm favourites) and had the best cold, creamy beet borscht (Šaltibarščiai) at the GrillHouse. The Lithuanian food scene is fantastic. Who knew? So much of Lithuanian food and culture and art is impacted by its incredible history, and its journey from the largest country in Europe during the 14th century, to Soviet bloc state after WWII, to independent state in 1991, to European Union member in 2004. 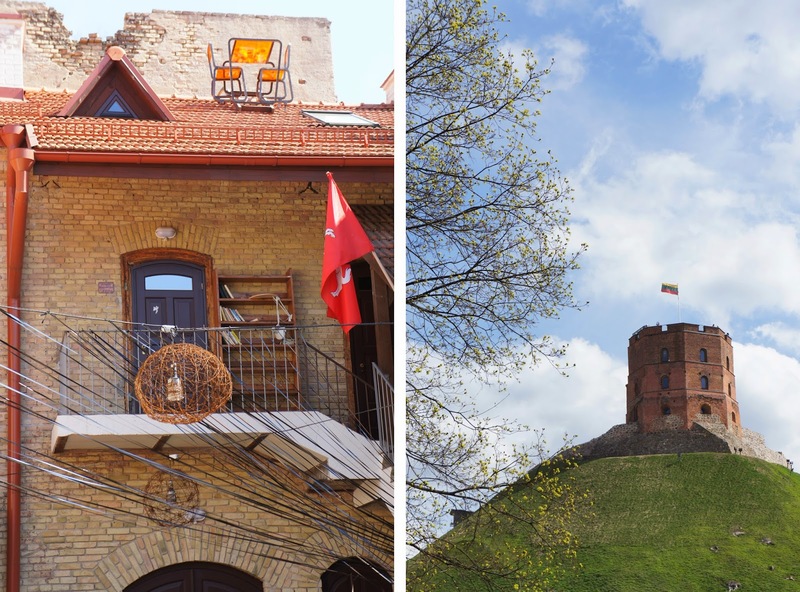 Lithuania wears its history on its sleeves, and it's raw and beautiful. I hear Lithuania mentioned a lot in the news lately. I don't like to get political in this space, but the atmosphere in Lithuania was clouded by a veil of sadness and worry as events unfolded in Ukraine. I hope this beautiful city, and this incredibly warm and welcoming country, enjoy a future of peace and safety. And pickles for all. What wonderful hosts to have show you around. I imagine it made for a most memorable experience. Feeling patriotic, more or less. A castle in the middle of a lake.